I started by pouncing red and orange on one panel and blue and green on another, making sure I had enough to cover my poinsettias. I painted a pool of gold as well, for the flower centre. I used the same gold to splatter the coloured panels. 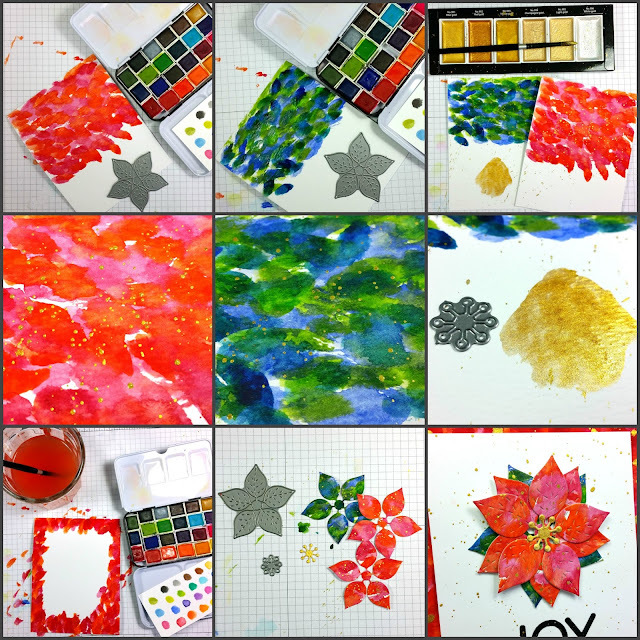 I created a background mat using the same red, orange and gold paints. Finally, I cut all the pieces and assembled my card.